Clients often ask me what I eat for breakfast. As if the answer is a window in to my secret healthy, holy grail. To be honest, I’m still searching for my Health Holy Grail: The potion that crushes my sweet tooth cravings, the meal that leaves me happy, healthy, wealthier and wiser, right? 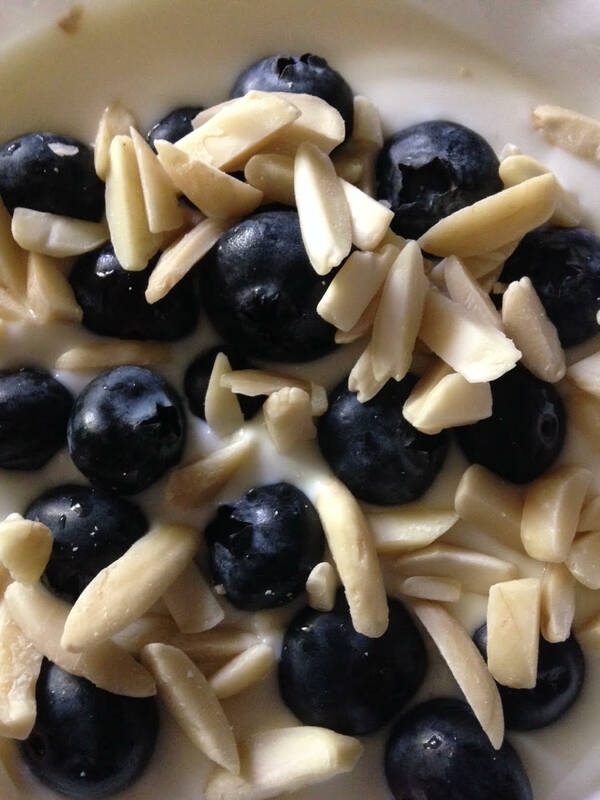 In a reasonably small bowl or coffee mug, I combine Plain Greek yogurt, fruit and nuts. 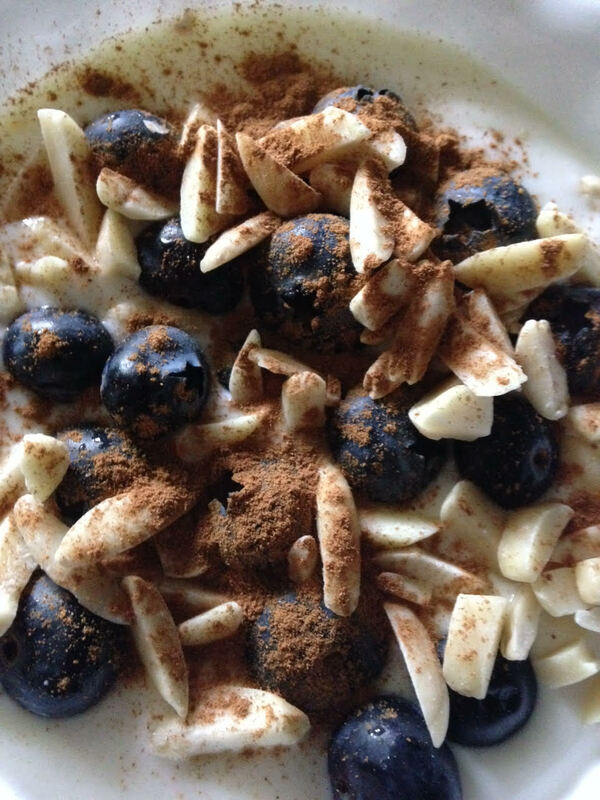 Each morning I keep my gut guessing, I mix it up with different fruits, and nuts and berries. But it always begins with a few dollops of plain greek yogurt. My fruit choices are usually low glycemic fruits, like organic berries (when they are in season) or a diced organic apple, or sometimes, when I really wanna splurge on my superfood intake, I use goji berries to blast up my ‘health ante’. The nuts I enjoy with plain Greek Yogurt are either walnuts, almonds (whole, chopped, slivers or sliced), or pecans, though any ole nut’d do. This addition adds protein and keeps you fuller (is that a word?) longer and packs in mega-micronutrients that aid in overall health. Sating. Oh and don’t forget the cinnamon! I hit it hard with 5-6 dashes! Boosts flavor and lowers blood pressure and cholesterol (or that’s what “they” say, anyway). The easy clean up tossing a bowl in the dishwasher is simple and sating as well. Yum! Blueberries and raspberries are the favorites here! We do add some of my dad’s maple syrup. And for STC (slow transit), I’ve taken to adding tiger nut flour and a Klaire prebiotic scoop. Actually tastes great! I didn’t used to tolerate any dairy, but now find I can tolerate it when I make my own yogurt and drip it. Im so impressed you’re making you’re own yogurt. How involved is it? and tell me more about tiger nut flour !